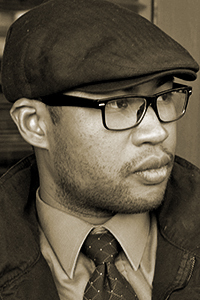 Robert Ricardo Reese’s work has appeared in Drunken Boat, Poems Against War, Santa Clara Review, Poecology, Monterey Journal, and elsewhere. He received his BA in English from Santa Clara University. He is a Cave Canem Fellow and a student in the MFA program at San Francisco State University. Reese has taught poetry as an Artist-in-Residence at Ruth Asawa San Francisco School of the Arts.